Robert Bing took the last job opening on the ill-fated fruit freighter Miraflores. Tiring of his routine job in New Orleans as a barrel maker, Robert joined the Merchant Marine service. 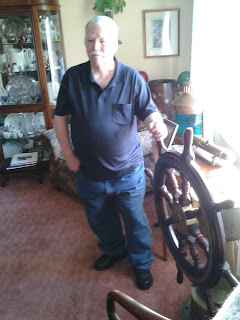 He and his brother in law applied for jobs as an able bodied seamen on the ship. There was only one position left and for whatever reason his unlucky or lucky brother in law was turned away. Robert’s luck ended shortly after he signed on for his first ocean voyage. On February 15, 1942, the Standard Fruit vessel S.S. Miraflores was lost without a trace and Robert Bing was never seen again. Robert Jr. (Bob) was four years old when his father sailed off to work on the banana ship. Bob has few memories of his father. He remembers his young father’s smile as related to him by his mom. His mother Hazel was left alone to raise Bob and his four month old sister Elaine. She would have to wait seven long years until Robert was declared legally deceased, before she would be able to remarry to begin a new life. The mystery of the missing ship went unanswered for Hazel. She married twice after Robert’s disappearance and lived well into her seventies. Hazel confided in her son Bob that she often wondered about the situation resulting in the loss of her first love. That unknown would consume Robert Bing Jr.’s life. There was never any official report or notice confirming the final demise of his lost father or the other 33 crewmembers on the S.S. Miraflores. For the families of the ship only rumors of her final fate. The stories ranged from an alleged Bermuda Triangle disappearance, torpedo sinking to capture and imprisonment by the Japanese in the Pacific. One of these theories would prove valid. Yet without concrete evidence, the mystery would go on for 66 more years. In 2007, I was nursing a back injury. In order to occupy my time, I began researching a number of unidentified shipwrecks I had dived. One of the mystery wrecks was an offshore shipwreck known as the Freighter. Nearly fifteen years earlier with my friends John Moyer, Lynn DelCorio and Gary Gentile, we had recovered a mechanical helm from the wreck. After the discovery of the site, I made numerous dives there and had found no additional evidence which could help identify the wreck. The obvious artifacts that would conclusively identify the ship are hull letters, the bell, builder’s plaque or a boiler plate. Despite dozens of dives none of these valued artifacts were discovered and the position of the wreck left much speculation. Many other unique artifacts were unearthed on the wreck. A broken piece of china with no marks was picked up by Gary on the discovery trip. On one dive I recovered a large 2 by 3 foot brass plaque laying in the sand. I was elated, thinking that I had extracted the builder’s plaque. After cleaning off the detailed lettering I was thwarted, when I realized this was an instruction plaque for transferring fuel. A nice and unique artifact but no name was listed nor any serial numbers which could identify the wreck. 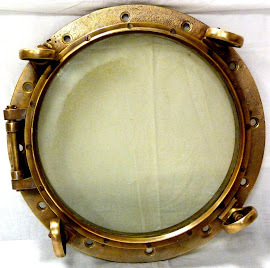 Numerous portholes and assorted pieces of brass were also recovered over the years but none revealed any notable information. Only one artifact was recovered that might link a name of this unknown freighter. That was the brass helm manufactured by John Hastie and Sons. I began searching the internet further trying to find if any records were kept by the helm manufacturer. John Hastie and Sons was no longer operating. Glasgow University Archives in Scotland managed the records of the dissolved manufacturer. After submitting a request regarding the purchase of a helm with the serial number 2705, I received an email from Glasgow which listed three ships whom had purchased helms with that serial number. I eliminated two ships by the circumstance of their demise and by the type of helm. Only one ship fit the criteria of the lost freighter…the S.S. Miraflores. Further research credited the German U-432 with a claim of sinking a freighter in the same area as the position of the S.S. Miraflores. This is a simple explanation of the numerous hours of weighing voluminous facts. Rather than rehashing previous accounts of this endeavor, I prefer to move on to the latest development in the S.S. Miraflores story. Bob Bing grew up without knowing the events which led to the death of his father. In the late 1950s, he made a trip to the Federal Administration building in New Orleans. There he checked with the Coast Guard to find out if there were any records or conclusions drawn about the loss of the ship. The Navy and Coast Guard records of the war for the Merchant Marine Service at that time still were not fully updated. This was nearly 15 years after the war. In fact one record ascertained Robert Bing was still on active duty. This was soon dismissed when Bob and the officer on duty found that the picture in his files was from the sinking story in the New Orleans Item newspaper. The most conclusive fact in the face of this matter was that his mother still had in her possession Robert Bing’s death certificate. After years of silence the Coast Guard finally recognized Robert Bing for his service to our country. In 1991, Bob received an official report of casualty from the U.S. Coast Guard and a certificate of Honorable Service. It was curious to note that within a year, the wreck was also discovered and dived for the first time. Years went by, Bob found little more about the tragedy which left his mom heartbroken and he himself bewildered by the lack of closure. Decades past and now Bob, his wife Annette, daughter Ginger and son Matt would occasionally check the internet for any updates or new information on the sinking of the ship labeled as “Lost without a trace”. 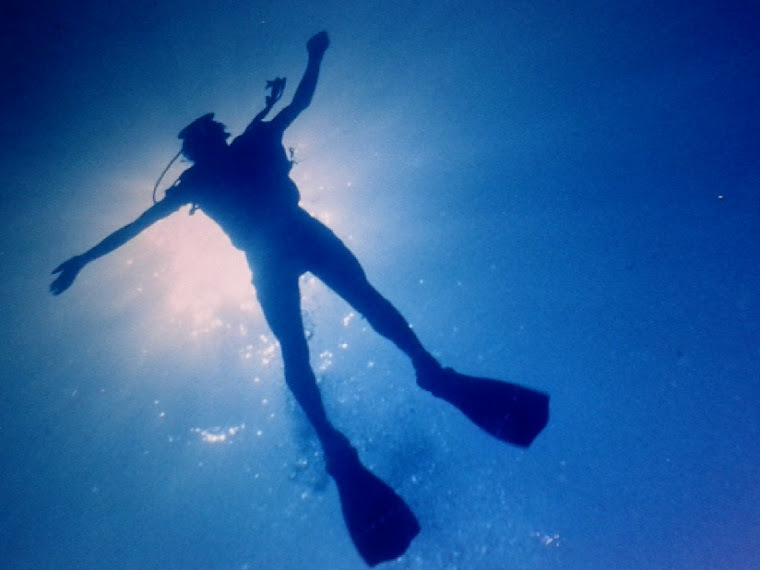 In February, 2013, the Bing family stumbled upon Atlantic Divers website. Finally, seventy-one years after the Miraflores’ disappearance Bob found the complete story of the ship and the circumstances of his father’s death. In early March of 2013, I received a phone call from Ginger Bing of Houston, Texas. Ginger with her mother and father were planning on coming to New Jersey to visit her brother Matt. She also suggested that her father and mother would like to meet me and discuss how I had dived and identified the wreck. I was honored that they had considered this. 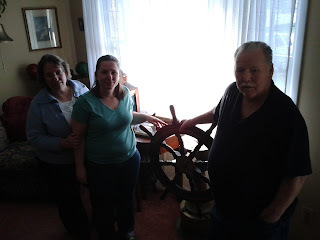 I immediately offered to show them the artifacts from the site and in a later discussion I invited them to dinner at my house. There we could relax and casually share and discuss the effect of the discovery together. On April 17, the Bings completed their journey. It was not just a trip by plane, train and auto from Houston, Texas to New Jersey. It was the highlight of a life long journey made by Bob Bing. A small four year old boy who lost his father unexpectedly found a conclusion for his efforts at the age of seventy-five. Bob was able to touch the helm that steered his father on that mortal voyage. Bob had finished a lifelong task and paid great homage to his father. Robert Lloyd Bing was one of the thousands of Merchant Marine heroes. We should never forget the sacrifices these sailors made and make to insure our freedom. Bob Bing honored his father by tirelessly searching for the truth and circumstances leading to his father’s detriment. He and his family have finally found closure and secured their pride knowing now that others also can appreciate his valor by knowing Robert Bing’s story.